Once again, Malto Mario proves he's the perfect dining companion. 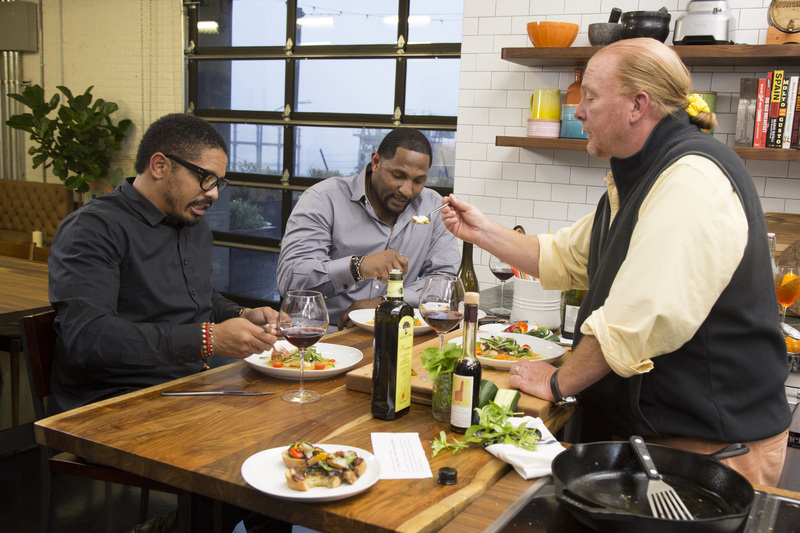 Back in October—following the premiere of his new Vice series, Moltissimo—Mario Batali told First We Feast he was most looking forward to was his episode with former Rohan Marley, the son of legendary reggae artist Bob Marley, and former NFL star Ray Lewis. Now, fans finally get to sit in on the meal. On Tuesday, Batali could be seen preparing pumpkin bruschetta and charred snapper with sungold gazpacho for the friends, inspired by Lewis and Rohan’s childhoods in Florida and Jamaica, respectively. Serving as one of the more unexpected dinner parties in recent memory, the group gets philosophical on the topics of football, friendship, and cooking as they dig into their fish.